I had the pleasure of taking a boating class in Coronado California and came across one of the most beautiful harbors in the area. With the morning grey just rising, still waters, and the early movements of the beginning of the day you can come to appreciate the beauty of old structures. The Hotel del Coronado hotel is just a small walk away. These are not just pieces of wood, brick, and metal all wired up together to create a structure. They are places where generations of people lived, breathed, and let their children run. At this marina these families may have had a little extra money and were the cream of society at a time in the 1920's when the economy was booming. Boaters and sailors launched their ships here in an effort to enjoy the day. Nothing has changed to this date. Maybe the people are not as wealthy as they once were and maybe the ships have been modernized but the overall use and beauty of the place hasn't diminished one bit. In many ways it has improved with time. 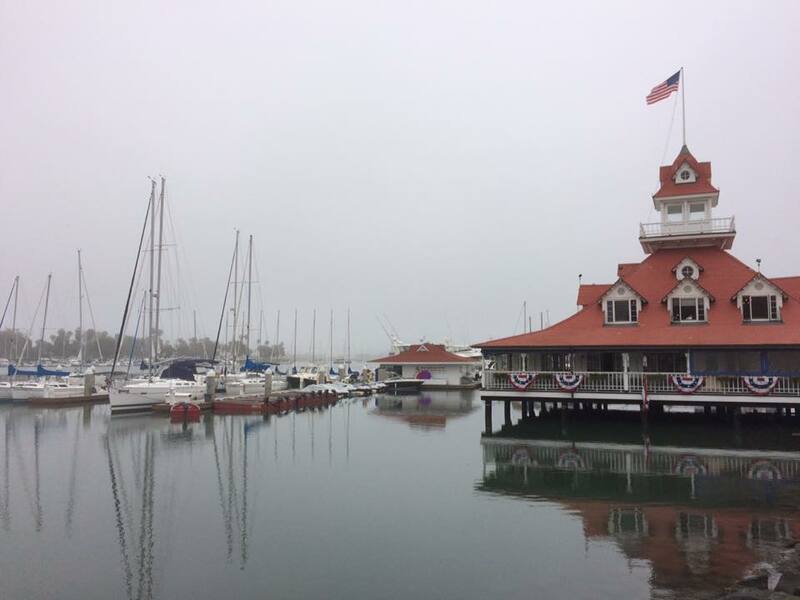 If you get a chance I would recommend you visit Glorietta Bay and Hotel del Coronado to get a good sense of how the history stays alive.